A timeless Classic ! Beautiful Glossy Finish. 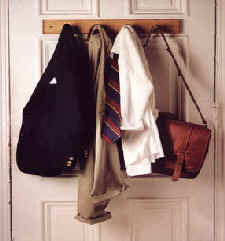 It has 4 drawers and 2 side panels that have hanging hooks for necklace storage. 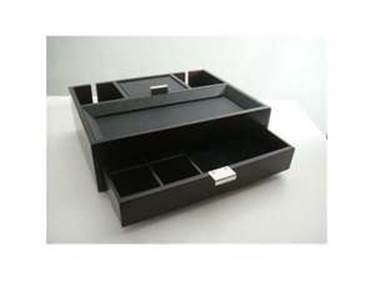 Flip up top tray has more storage for rings and small accessories. 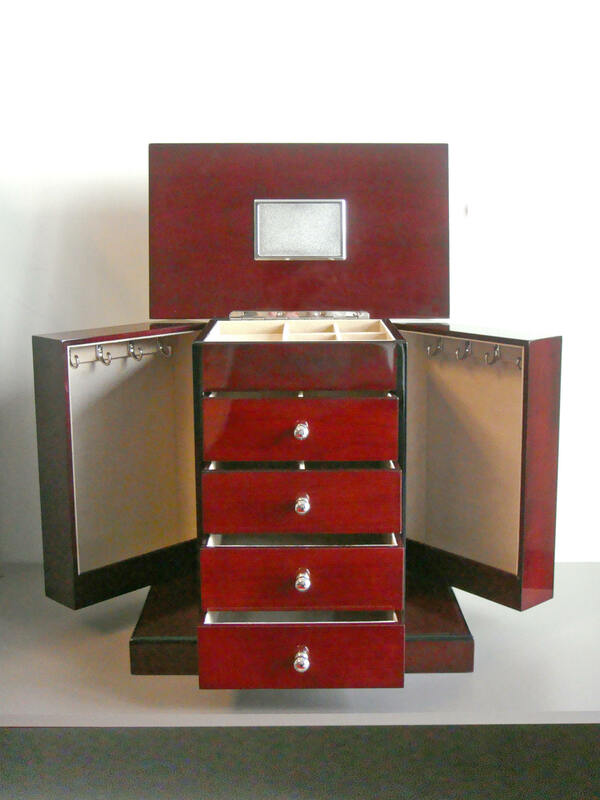 Our Finest Jewelry Box ! Nappa leather design, perfect for traveling! 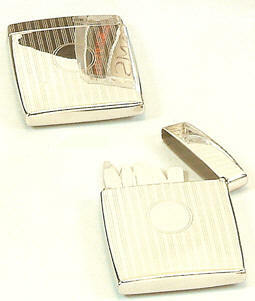 Packs flat for your journey, then snaps together once you arrive to hold your jewelry, coins and/or keys in one area. 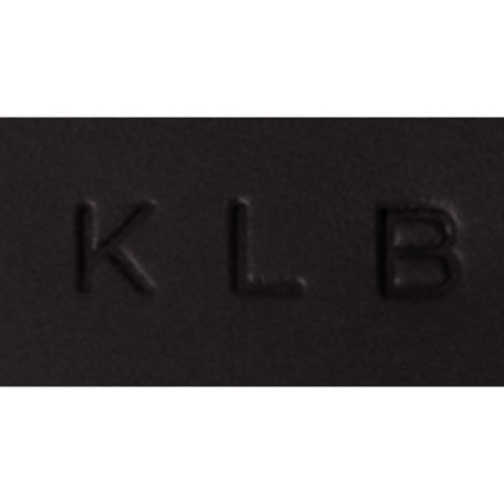 Nappa Leather surrounds this elegantly crafted watch box. 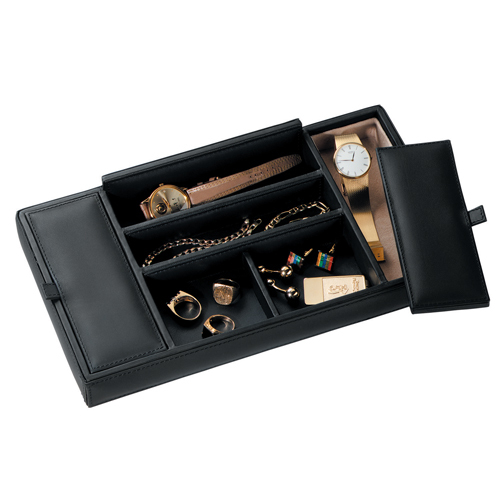 A glass topped case to view your collection, 5 velvet pillows to cradle your favorite watches, and a keyed lock to keep them secure. 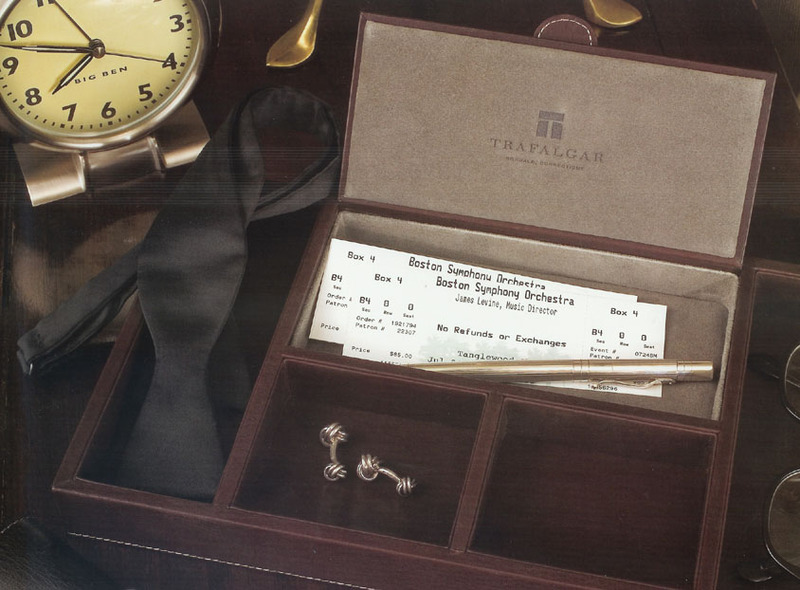 Top Grain Nappa Leather surrounds this elegantly crafted watch travel roll. 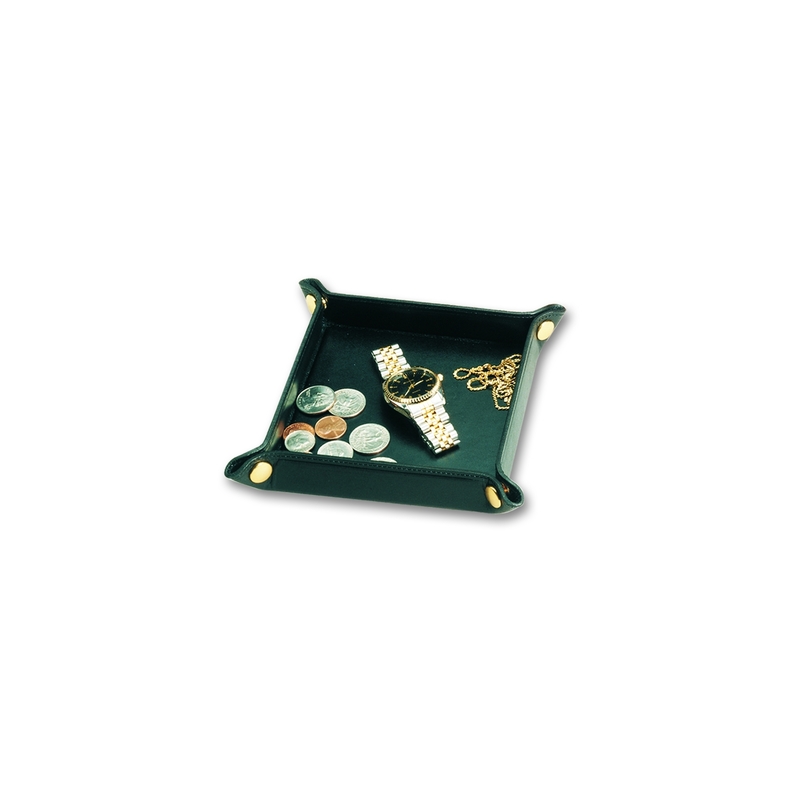 Features a soft removable cushion to showcase watches and snap closure for easy travel. 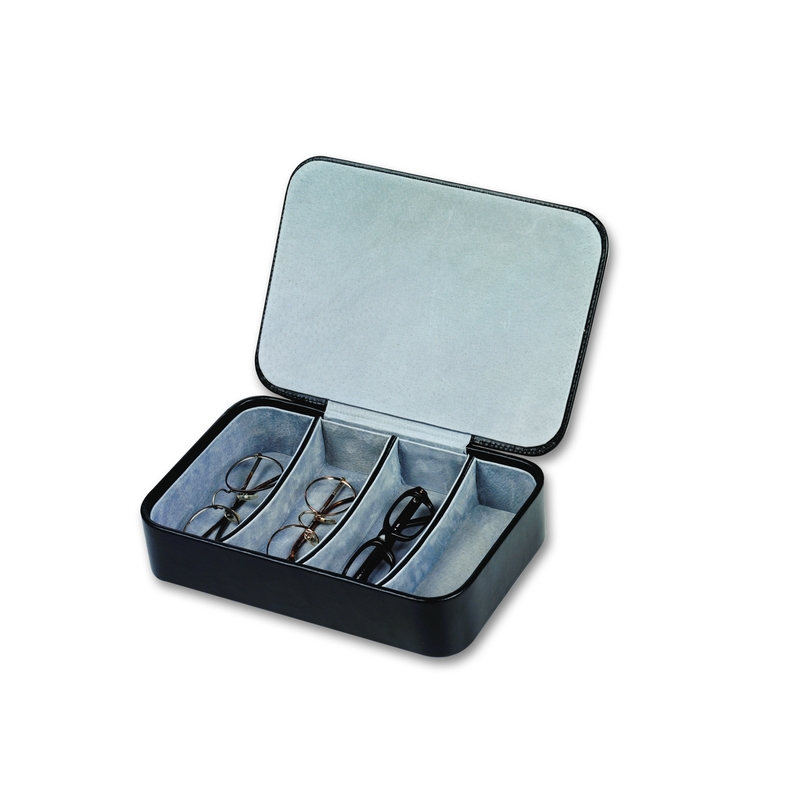 Nappa Cowhide leather exterior and a soft velvet interior will keep your eyeglass and sunglasses in a perfect setting out of harms way. 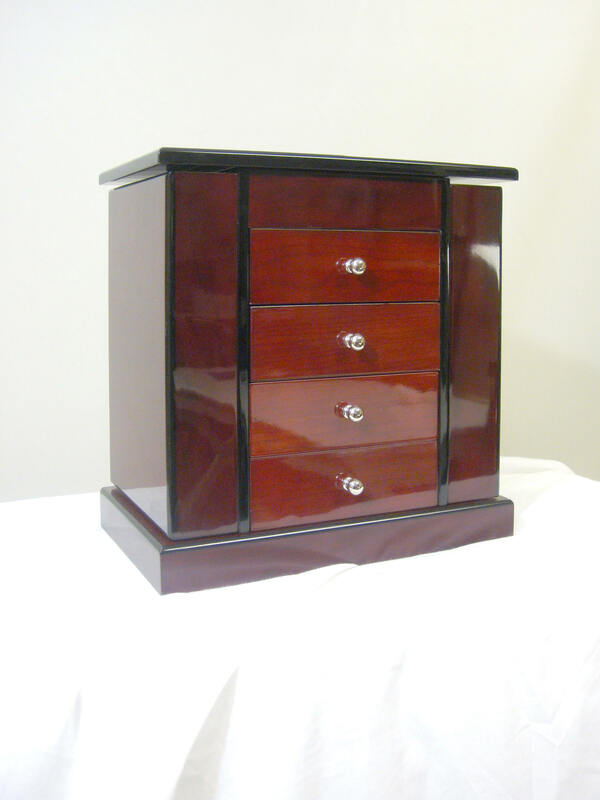 A glass top and keyed lock allows you to view the contents and keep the safe and secure. 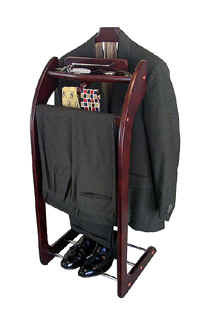 For Home or Travel ! 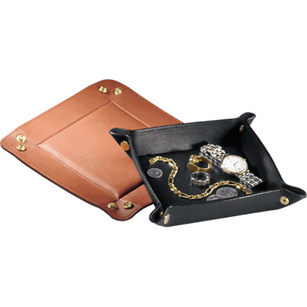 Nappa leather tray is a great way to organize valuables, with 4 open compartments for watches, chains and coins plus two suede lined compartments for fine jewelry.. We think this is the perfect valet case ! 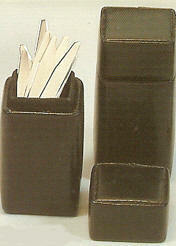 10 1/2" x 7" x 2"
Pigskin Lined - 12 3/4" x 7"
Visit our complete Collection of additional personal accessories from Dann !